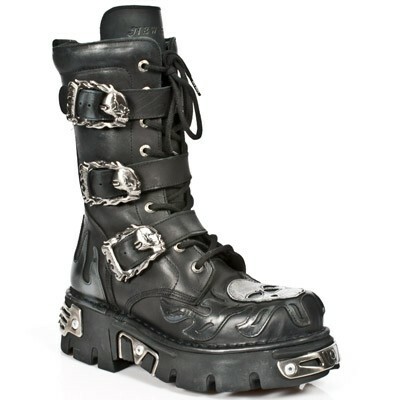 New Rock boot M.711-S1. 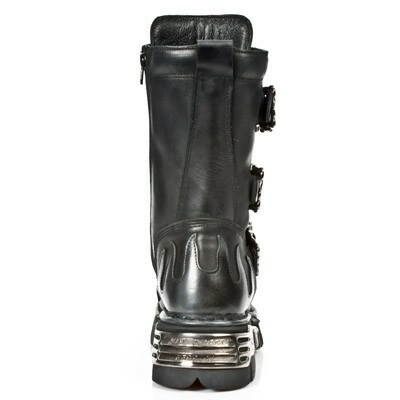 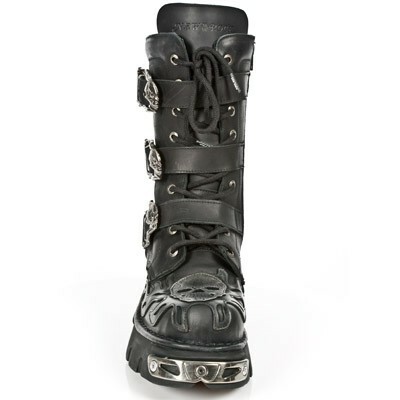 Black leather boot with a reactor sole with metal details. 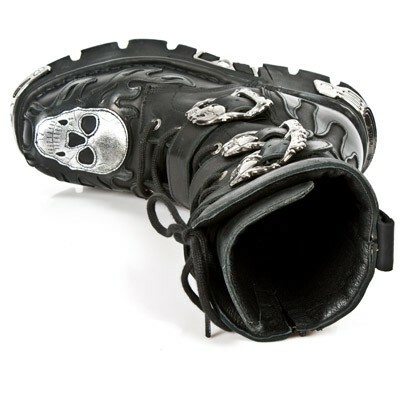 This boot has a silver flame design and a skull on the toe cap. 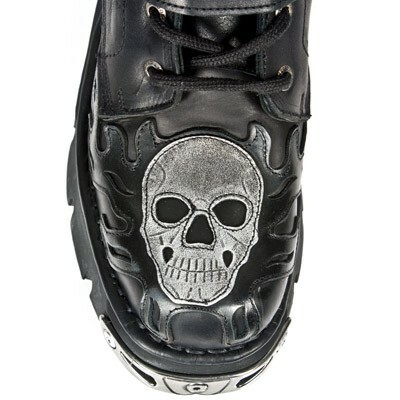 They have lace fastening, a zipper and 3 adjustable blazing skull buckle straps. 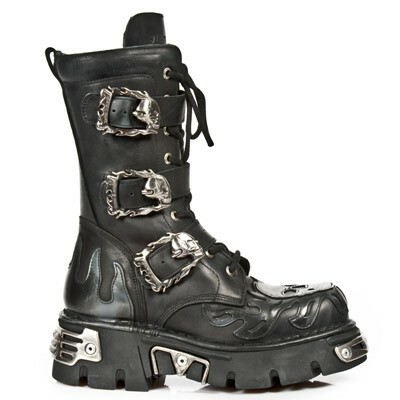 Available for immediate dispatch is EU size 41 - 44 - 45 - 46 and 47. 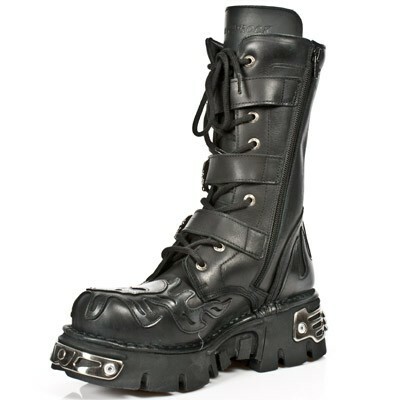 The regular price of these boots was euro 271.95.